Asian stocks were trading lower in the early trade Thursday as investors awaited more clues from US-China trade talks. In the overnight trade, Wall Street ended higher after a volatile session. At 08:37 am, the Nifty futures on Singapore Exchange (SGX) were trading 27.50 points or 0.25 per cent higher at 10,903, indicating positive start for domestic stocks. TCS: The IT major is slated to release its Q3 results for the current financial year 2018-19 today. The IT major is expected to post revenue growth in CC terms between 1.5 per cent-2.2 per cent QoQ. According to Edelweiss Securities, revenue in rupee terms will rise 3.6 per cent QoQ and 23.5 per cent YoY. EBITDA margins are expected to rise 100 bps QoQ on rupee depreciation (50bps) and efficiencies (50bps). PAT will grow at 6.7 per cent QoQ and 29.1 per cent YoY basis. Asian Paints: According to TV reports, LIC has trimmed stake in Asian Paints to 2 per cent from 5 per cent. Ashok Leyland: The flagship firm of said it has bagged orders for 2,580 buses from Institute of Road Transport, Chennai, Uttar Pradesh State Roadways Transport Corporation and Chandigarh Transport Undertaking. 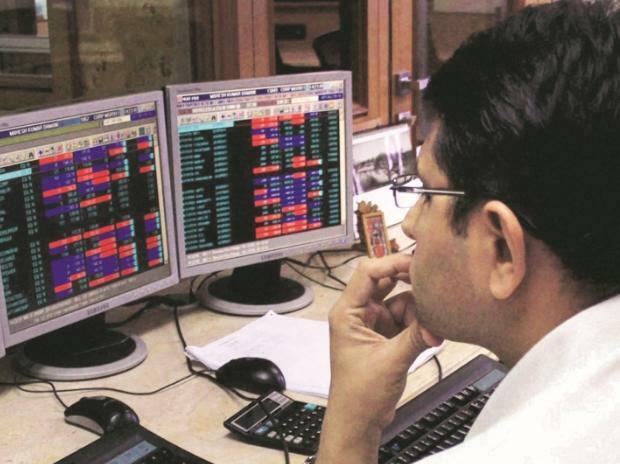 Vakrangee: An investigation by the Ministry of Corporate Affairs (MCA) into the accounts and operations of Vakrangee has found no irregularity in matters pertaining to the resignation of its auditor, abnormal trading in the company’s stock, among other issues, the company said in its BSE filing. YES Bank: The private sector lender said on Wednesday it has finalised the potential candidates for the position of chief executive officer to replace the incumbent Rana Kapoor, but did not disclose names. The lender will now seek approval from the Reserve Bank of India (RBI) for the CEO appointment, and will make the relevant disclosures after the RBI's approval. Adani Enterprises: The company has signed MoU with Andhra Pradesh government for data center parks. Earnings today: Apart from TCS, other notable names that are scheduled to unveil their financial results for the third quarter of FY19 include Bandhan Bank and Goa Carbon. Delta Corp: The company reported 12.9 per cent YoY increase in its Q3 net profit at Rs 50.53 crore. The consolidated revenue for the quarter came in at Rs 205.81 crore, up 26.9 per cent YoY. EBITDA for the period came in at Rs 84.02 crore, up 22.3 per cent YoY. Dilip Buildcon: The company in its BSE filing said it has received the financial closure letter dated January 4, 2019 from the National Highways Authority of India for the road project in Andhra Pradesh under Bahratmala Pariyojana on Hybrid Annuity Mode.